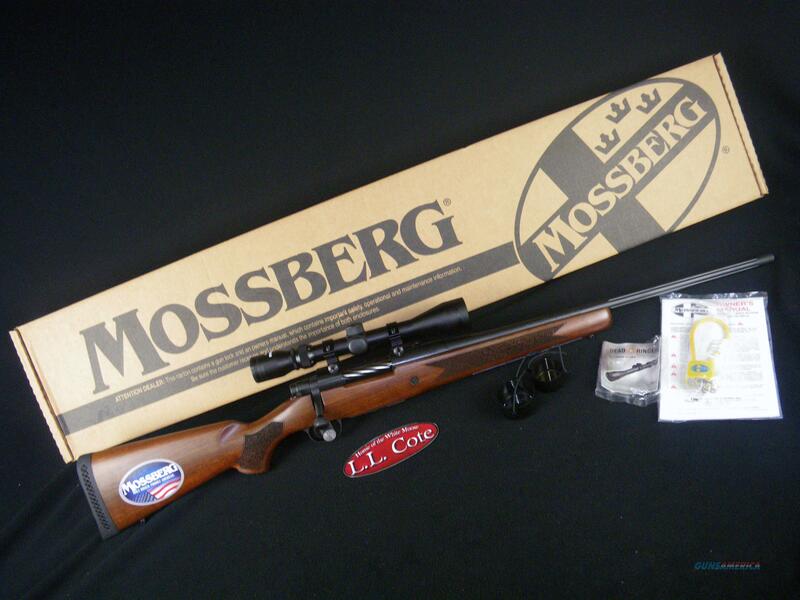 Description: You are bidding on a Mossberg Patriot Scoped Combo in 308 Win with a 22" barrel. Attractive, accurate and affordable: the "three A's" of excellence for the hunter on a budget. Mossberg blends a quality button-rifled barrel with target crown, adjustable Lightning Bolt Action TriggerTM and smooth bolt operation to perfection... creating a Hunting Rifle that looks great, feels great, shoots great. If you want to stretch your hunting dollar as far as it'll go, look no further. Includes a Factory-Mounted 3-9x40mm Scope. Displayed images are stock photos. Any questions please feel free to ask (our phone number is in the additional information tab above).